Having a website is essential for your enterprises and if you have the skills and knowhow, costs only £35 a year. To minimise the price of creating and maintaining a website will need some training and ongoing technical support but the training on offer is limited, formal and expensive. Employing commercial or amateur website builders will leave you vulnerable to ongoing dependency, a slow and poor quality service, no means to monitor and measure performance, and potentially a very expensive non-starter. The E-Literacy Programme provides the knowledge base essential for the success of your enterprises. Building a professional standard website is quick to learn and simple to carry out. When built, the new website is easy to use and capable of providing data about visitor traffic using Google Analytics but a third of all small and medium sized commercial enterprises and a half of all social enterprises do not have websites. Learning how to build and use a website on the E-Literacy Programme is done three different ways: You can subscribe to the twice weekly 3-hour workshops where you work with a tutor and with other subscribers to implement your ideas and increase your knowledge. You can book a 6-hour training programme including an annual subscription to the workshops. Or you can book small group tuition or private consultations on Joomla based websites. The E-Literacy Programme is a charitable incorporated organisation and is an ongoing Freirean e-literacy campaign that is training and supporting people to build and develop their own professional websites. We are here to help and to want to encourage everybody to build a website and to reteach these skills. A website is an incredibly powerful tool and taking fully taking advantage of the opportunity is critical for all social, commercial and political enterprises. The E-Literacy Programme runs regular 2-hour sessions for free that introduce the Joomla system and you are welcome to book places on any of these, to attend more than once and to invite others that need to build a professional standard website. It covers hosting, creating content and navigation around the content, media tools, templates and extensions, marketing and SEO and any questions you have about building and running a website. If you are certain that you want a website and know that you want to join the e-literacy programme please attend an introduction session anyway as it is very helpful to have a proper grounding in using the Joomla system. At these 2-hour intro sessions you get to use our Joomla 3 ‘sandpit’ website aurateal.com to create content and menu items to navigate to the content. You also get to insert images, create links, format content, categorise articles, and understand why all of these operations are important for the success of your enterprise. We also introduce your to cPanel hosting, the Joomla Extensions Directory and the Joomla Free Templates Directory Joomla 24. London is absolutely packed with public, commercial and third sector training providers. Prices in the formal sector range up to £17,814 per year and include free courses in very basic Levels 1 to 3 in English and Maths. To find formal and informal courses in London is easiest using the National Careers Service course catalogue which does list out of date content but is still the best tool available. There is also a listing for a non-certificated 1-day course on Joomla at the University of Westminster for £350. For students and alumni of the capital’s higher education (HE) providers there is the added benefit of a passably serious commitment by Universities and Colleges to enterprise. There is lots of extra-curricular support and informal education available, complimented by entrepreneurs-in-residence such as University College London’s Dan Brown. Many higher and further education providers also have student-led support networks such as the UCL Enterprise Society offering numerous to engage in ‘networking events, mentoring, competitions and workshops’. Many of these enterprise networks provide awards and grants to ‘start-ups’, as do many Students’ Unions. The broader Widening Participation/Continuing Adult Education sector, do the same and are also actively broadening their formal offer, especially now that the higher education sector proper is charging their students over £200 per 3-hour lecture. 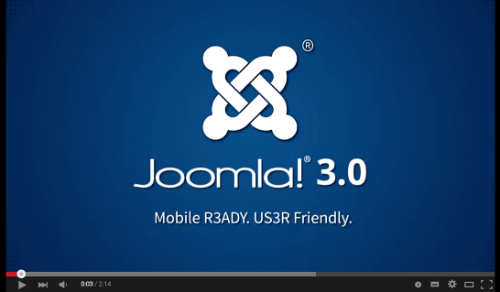 This is a free 16-part playlist Joomla 3 tutorial for beginners by Richard Pearce from February 2014. Forums and more information including a 100-page workbook are found on Build a Joomla Website. Both playlists have transcript tabs so that you can read the tutorials live.